This week is all about Pride, so be sure to check out our Guide to Pride for all of the best ways to celebrate. But between changing out of your rainbow-colored tutu and into your rainbow-colored short-shorts, there’s also limited-edition sandwiches to be eaten, new restaurants to check out, a ton of Summer of Love-themed events -- like light shows and a Grace Cathedral dance party -- and of course, plenty of excuses to drink beer, wine, and whiskey. Spend the longest day of the year drinking outside Sunrise is at 5:47am and sunset’s at 8:24pm, which means it’s officially the longest day of the year and what better way to make the most of it than by drinking outside on a rooftop or patio? That’s rhetorical; there is no better way. Spend the longest day of the year drinking outside Any rooftop or patio will do Sunrise is at 5:47am and sunset’s at 8:24pm, which means it’s officially the longest day of the year and what better way to make the most of it than by drinking outside on a rooftop or patio? That’s rhetorical; there is no better way. Participate in SF’s best pub quiz Edinburgh Castle Pub’s famous weekly quiz night starts at 8:30pm. Bring your smartest friends because it’s also known for being one of the city’s most difficult. Participate in SF’s best pub quiz Lower Nob Hill Edinburgh Castle Pub’s famous weekly quiz night starts at 8:30pm. Bring your smartest friends because it’s also known for being one of the city’s most difficult. 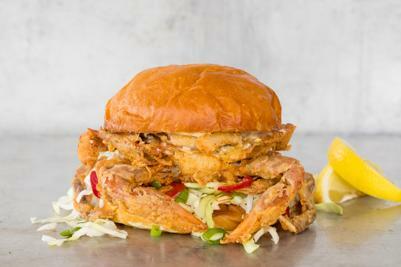 Gott’s Roadside is serving a speciality Chesapeake Bay soft-shell crab sandwich with cabbage slaw, pickled red Fresno chiles, and green onions, all on a toasted brioche bun. Each location is only selling 36 per day. They’re available every day until the soft-shell crab season ends. Experience a light show and Surrealistic Summer Solstice Concert The Conservatory of Flowers is celebrating the 50th anniversary of the Summer of Love with an art installation that will transform the building into a canvas of illuminated scenes through October. But if you go on the first evening of summer, you’ll be treated not just to the first public display, but to a free concert with over 40 legendary musicians, including members of ALO, The Jefferson Airplane, Mother Hips, and more. Experience a light show and Surrealistic Summer Solstice Concert Golden Gate Park The Conservatory of Flowers is celebrating the 50th anniversary of the Summer of Love with an art installation that will transform the building into a canvas of illuminated scenes through October. But if you go on the first evening of summer, you’ll be treated not just to the first public display, but to a free concert with over 40 legendary musicians, including members of ALO, The Jefferson Airplane, Mother Hips, and more. Eat and drink at the Bi-BBQ Bring a potluck dish to share at the 10th annual Bi-BBQ, which is going on in Dolores Park from 3:30 to 6:30pm, which, yes, is right during work hours, but it’s SF, so luckily those aren’t actually a thing. Eat and drink at the Bi-BBQ Dolores Park Bring a potluck dish to share at the 10th annual Bi-BBQ, which is going on in Dolores Park from 3:30 to 6:30pm, which, yes, is right during work hours, but it’s SF, so luckily those aren’t actually a thing. 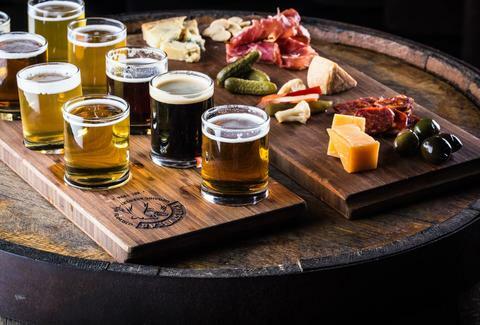 On June 21, the free Drink SF Beer shuttle is starting at Bartlett Hall at 6pm and making stops at Thirsty Bear, Black Hammer, 21st Amendment, and Local Brewing. Watch “The Lost Boys” under the stars It’s the 30th anniversary of what had better be your favorite vampire movie, so head to Jack London Square for a free outdoor screening. Grab food from one of the nearby restaurants to enjoy... just maybe save the Chinese takeout for another night. Watch “The Lost Boys” under the stars Jack London Square, Oakland It’s the 30th anniversary of what had better be your favorite vampire movie, so head to Jack London Square for a free outdoor screening. Grab food from one of the nearby restaurants to enjoy... just maybe save the Chinese takeout for another night. Celebrate Pride at the California Academy of Sciences Nightlife is going all out for its Pride celebration with a drag show, costume contest (prizes from Good Vibrations), a “Hella Gay Dance Party,” and multiple bars throughout the museum. Admission is only $15 for the 21+ party. Celebrate Pride at the California Academy of Sciences Golden Gate Park Nightlife is going all out for its Pride celebration with a drag show, costume contest (prizes from Good Vibrations), a “Hella Gay Dance Party,” and multiple bars throughout the museum. Admission is only $15 for the 21+ party. Dance in the aisles of Grace Cathedral Grace Cathedral is throwing a Summer of Love dance party from 7:30 to 9pm. Five dollars gets you in for a night of dancing in the cathedral aisles to classics from 1967. And yes, like every Summer of Love party, you’re supposed to wear flowers in your hair. Only this time God will be watching, so just do it. Dance in the aisles of Grace Cathedral Nob Hill Grace Cathedral is throwing a Summer of Love dance party from 7:30 to 9pm. Five dollars gets you in for a night of dancing in the cathedral aisles to classics from 1967. And yes, like every Summer of Love party, you’re supposed to wear flowers in your hair. Only this time God will be watching, so just do it. Indulge in chocolate and art Check out up-and-coming artists while eating all of the chocolate at the Chocolate and Art Show in the SOMArts Cultural Center. Tickets are $5 to $15 and the show starts both days at 8pm and ends at 2am. Indulge in chocolate and art SoMa Check out up-and-coming artists while eating all of the chocolate at the Chocolate and Art Show in the SOMArts Cultural Center. Tickets are $5 to $15 and the show starts both days at 8pm and ends at 2am. 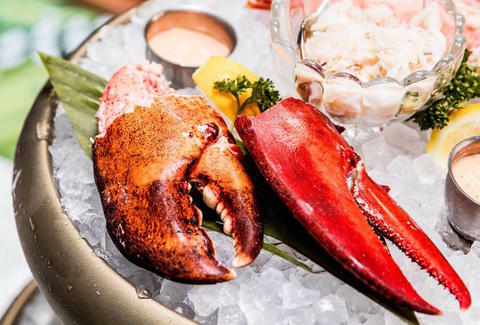 Petit Marlowe just opened its doors, so be one of the first to experience this wine bar and oysterette that’s sure to have lines out the door as soon as everyone hears about it. Go to the Exploratorium for free It’s a free community NIGHT at the Exploratorium, which means you can get in for zero dollars starting at 5pm. The hands-on museum is staying open late, so you won’t get kicked out until five hours later at 10pm. Go to the Exploratorium for free Embarcadero It’s a free community NIGHT at the Exploratorium, which means you can get in for zero dollars starting at 5pm. The hands-on museum is staying open late, so you won’t get kicked out until five hours later at 10pm. Experience the Grape Escape Head to Anderson Valley for the day and buy a Grape Escape passport to get tastings at some of the region’s best wineries. The party kicks off at Handley Cellars at 10am and your $20 ticket gets you “Wine Club for a Day” discounts at all of the participating wineries. Experience the Grape Escape Anderson Valley Head to Anderson Valley for the day and buy a Grape Escape passport to get tastings at some of the region’s best wineries. The party kicks off at Handley Cellars at 10am and your $20 ticket gets you “Wine Club for a Day” discounts at all of the participating wineries. Party for Pride The party starts at noon with performances from Kat Robichaud’s Misfit Cabaret, DJ Holographic, The Stud, MVMNT, Cheer San Francisco, and more. The event is free, but bring cash for a donation at the gate. Party for Pride Civic Center The party starts at noon with performances from Kat Robichaud’s Misfit Cabaret, DJ Holographic, The Stud, MVMNT, Cheer San Francisco, and more. The event is free, but bring cash for a donation at the gate. 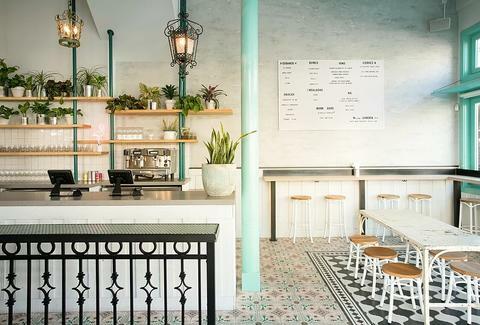 Media Noche is bringing its happy hour to the weekend to celebrate Pride. From 3 to 6pm, you can get $6 midnight mimosas, $6 glasses of rose, and $4.50 Stillwater Yacht lagers. 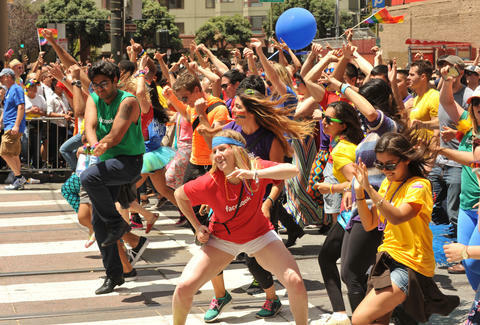 Watch the Pride parade Thousands of people will be lining the streets along Market (from Beale to 8th Street) starting at 10:30am to watch colorful floats and fleets of people celebrating diversity and inclusion. Watch the Pride parade Market and Civic Center Thousands of people will be lining the streets along Market (from Beale to 8th Street) starting at 10:30am to watch colorful floats and fleets of people celebrating diversity and inclusion. 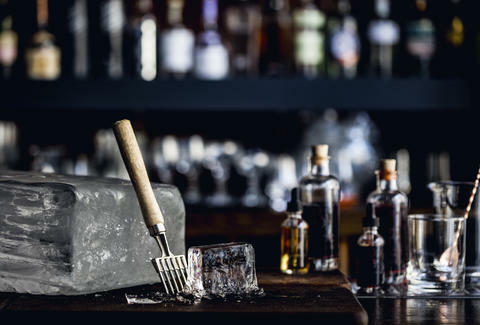 Burritt Room + Tavern is launching a new whiskey tasting series called “Sunday Spirits,” showcasing rare releases and high-end bottles. The event goes from 6 to 8pm and is $35/person (which includes snacks, tastings, and discussion with the distillers). Daisy Barringer is an SF-based freelance writer who is always down to learn about fun stuff to do in the Bay Area. Tell her on Twitter @daisy.